Keith Yates has been commentating at Durham Regatta for over forty years. But his links with the Regatta go back even further than that! Keith started rowing as a cox at Durham Johnston School in 1951. Later, he coxed for Durham Constabulary and the Durham County Eight. 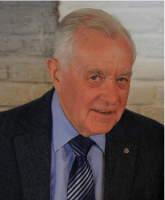 Keith joined DARC in 1956 and first competed at Durham Regatta in the Mayors Plate in 1957. Keith was DARC’s first crew cox from 1957 until 1962. In that period the crew were North Eastern Champions for 5 years and, racing for Great Britain, losing finalists at Henley Trials. Keith won five ‘Grands’ & four ‘Whartons’ at Durham Regatta and has over 50 trophies. Keith has participated in every Regatta since 1953 – as a cox, volunteer marshall, and since 1976 as a commentator. He’s a Life Member of DARC and an Hon. Vice President of Durham Regatta. Having moved from Durham to Nottingham in 1962, Keith now lives in Melton Mowbray, Leicestershire. 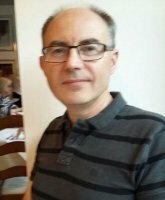 Andrew Bryant became involved in rowing as a parent whose children rowed at Chester-Le-Street Rowing Club in the late 1990s. Within a short period he became Treasurer and then Secretary for seven years. Andrew represented the club on the Northern Rowing Council and was Chairman from 2006 to 2011, when work took him to the Midlands. Andrew was British Rowing National Volunteer of the Year in 2010 and was appointed a Life Member of Chester-Le-Street Club in 2012. He continues to sit on the British Rowing Facilities Panel that oversees funding applications for building and equipment. 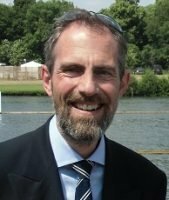 James Andrews returns to the commentary team this year being well known to many at the Regatta, having filled a number of roles for British Rowing in the Northern region since 2008. James started his rowing life, aged sixteen, at Plymouth ARC, before moving to the North East to go to Teesside University. As Chair of the University Rowing Club, he drove the club to take part at BUSA events and on the Tideway for the first time in a decade. After university James started his working life with Browns Boats before moving to a coaching role at Yarm School BC. Whilst at Yarm he rowed for Tees RC, competing numerous times at Durham Regatta. He has since coached and/or rowed at Trireme Ynys Môn Rowing Club, Bangor University Boat Club, Chester-le-Street Rowing Club, Northumbria University Boat Club and Tynemouth Rowing Club. James is currently a member of the newly formed Gateshead Community Rowing Club. Dr Richard Court joins the team for 2018, along with his 39 years of rowing experience. Richard started rowing at Nottingham Britannia reaching Senior A standard (in very old “money”). He came to Durham University in 1982, coached DU’s Women’s Boat Club and captained Grey College BC, winning Senior A IVs at Durham Regatta in ’85. After graduating, Richard worked as a boat builder with Carl Douglas Racing Shells and rowed at Thames Rowing Club. He joined Imperial College BC during his MSc and stroked the 2nd VIII to pennant wins at the Head of River (’90) and to success in Henley Regatta’s inaugural Temple VIIIs event. He rowed next at St. Andrew B C, gained National Championships silver medals in 4+ (’94) and Lwt4- (’97) and represented Scotland (4+) at the ’94 Commonwealth Championships. During his PhD at Cambridge, he stroked St. Catharine’s to May Bumps “Blades”. Richard returned to the north-east in 2003. Now well into the Masters category, he joined DARC and married Dr Samantha English – fortunately an equally keen rower! Recent highlights include winning Vet IVs Head of the River, overall winners of the Boston Marathon 2015 (MasD4x-) and 2017 Masters National Champions (D4x-). Richard is keen to continue his involvement with Durham Regatta – on the bank and on the water. Michael Laing started rowing at St. Leonard’s School and subsequently rowed or coached at Newcastle University and St. Cuthbert’s Society, University of Durham. Since 2005 he has coached at St. Leonard’s School. 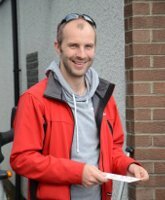 In 2012 Michael was elected as Chair of the Northern Regional Rowing Council and has served on the Council of British Rowing since then.